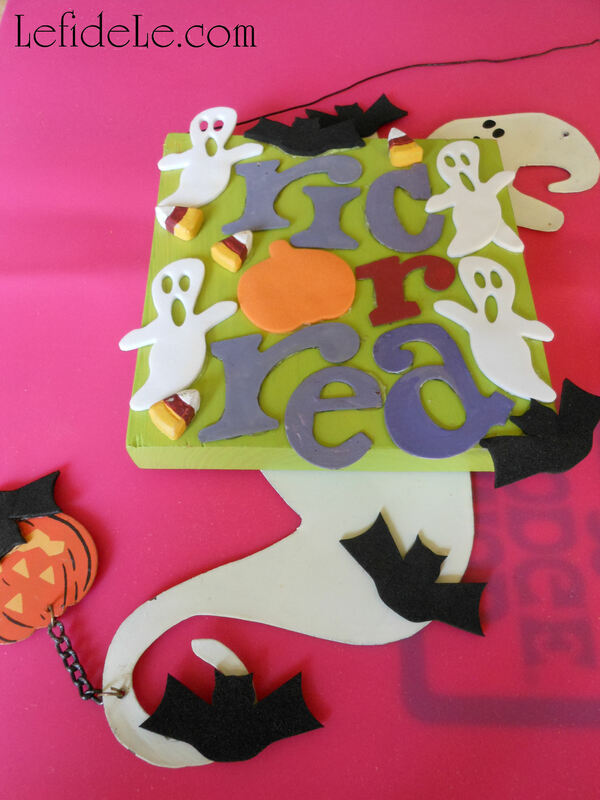 This project began with the question, “What on earth do I do with that sack of foam shapes that didn’t get used up in that last project?” My answer was to make holiday signs, spooky garlands, not-so-scary ornaments, favor necklaces, and puppet favor / food picks! 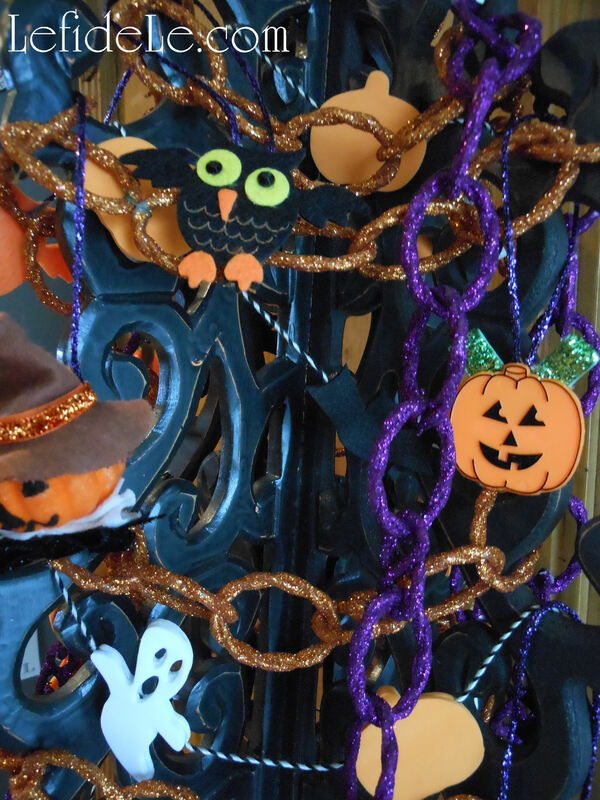 So without further ado, here are some quick and easy kid friendly craft ideas that are great for last minute fill-ins for your décor this Halloween. 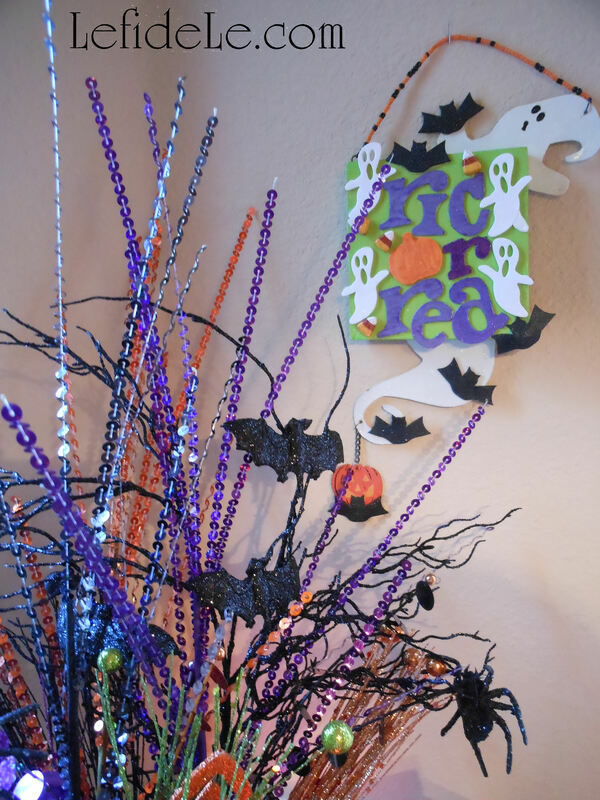 Glue colored twine in between two foam shapes to make any length garland you chose. Adults can use hot glue and a ruler as a distance guide. 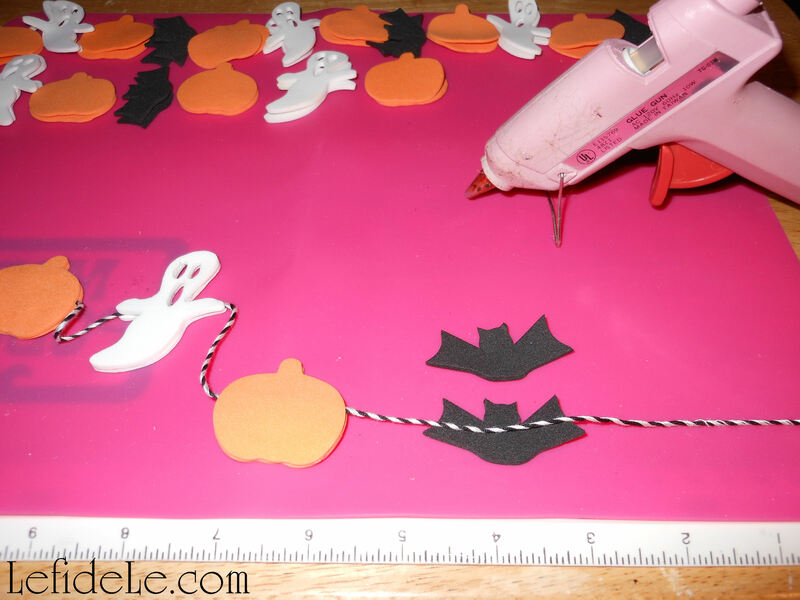 Kiddos can use foam glue and make it as crazy as they like! 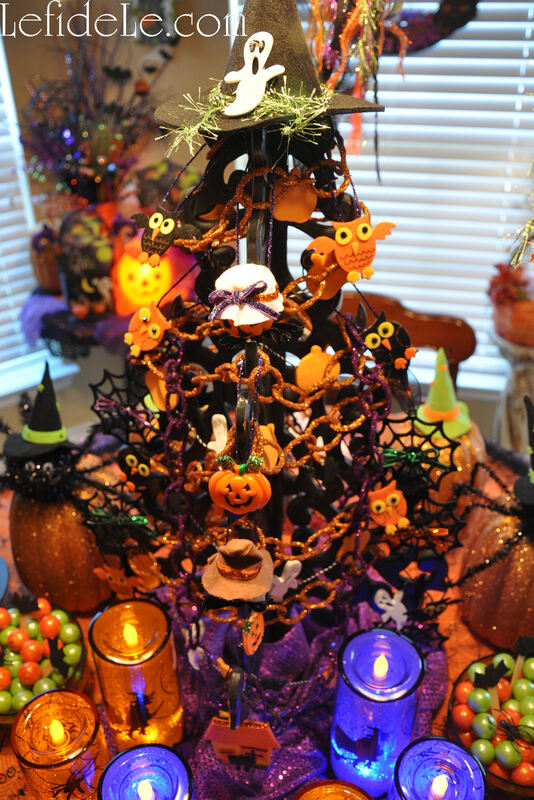 Drape it along a spooky Halloween tree, or loop the ends and hang them on the wall with tacks. 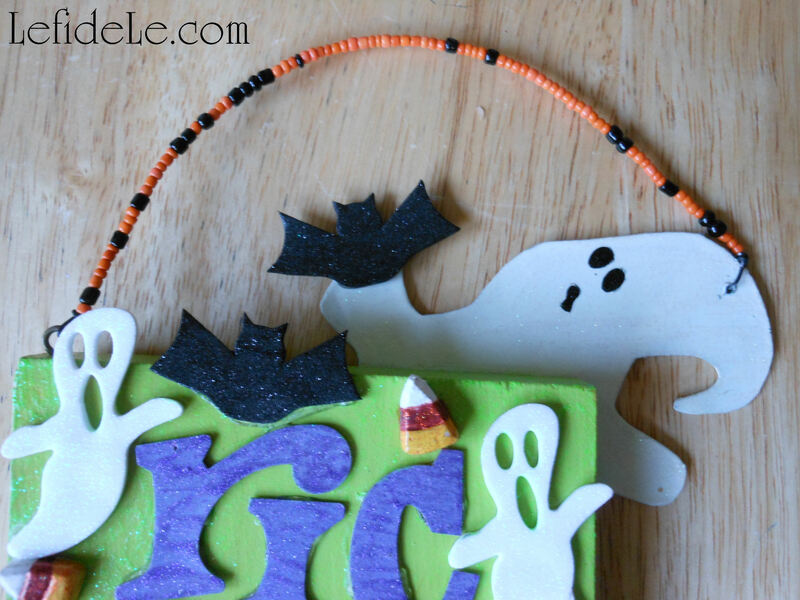 Using the same technique, make favor necklaces for the little ones. 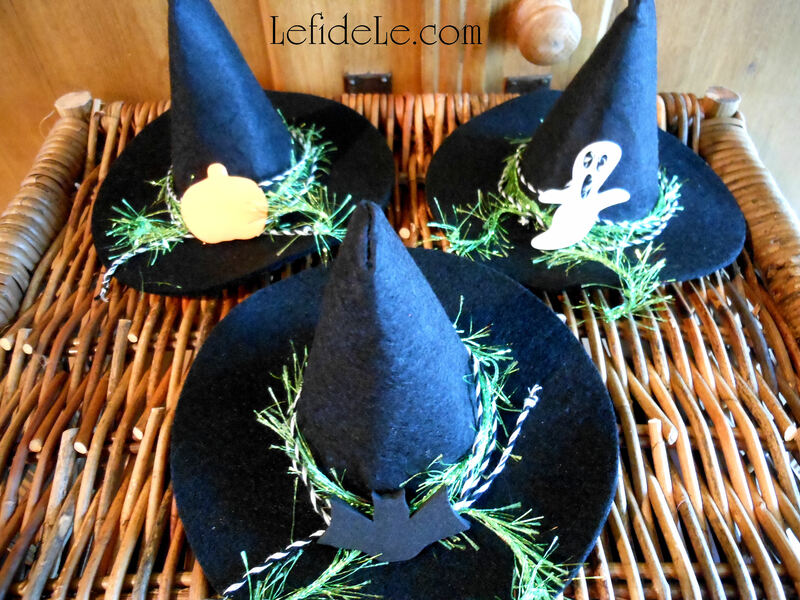 Wrap them around mini felt witch hats for party hat dress up that doubles as décor. A barrette turns them into a grown-up witchy fascinator. 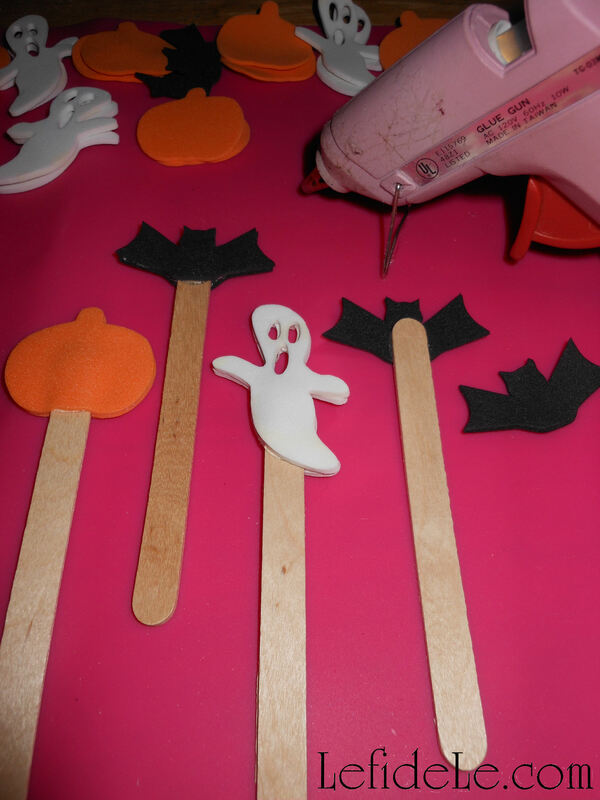 Glue the shapes back to back with a new popsicle sticks in-between. 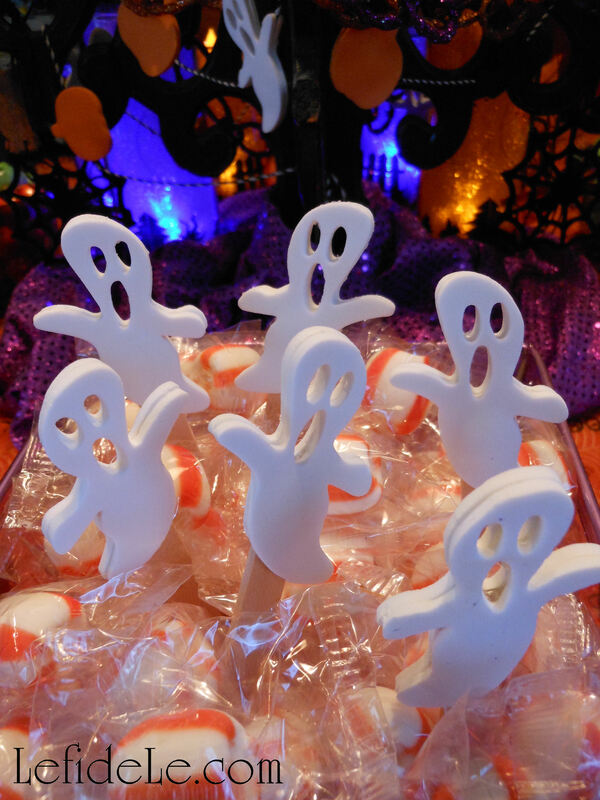 Stick those little puppet favors into candy stashes for an extra dose of Halloween fun. Some shapes can double as letters for a thrifty but cute holiday sign. 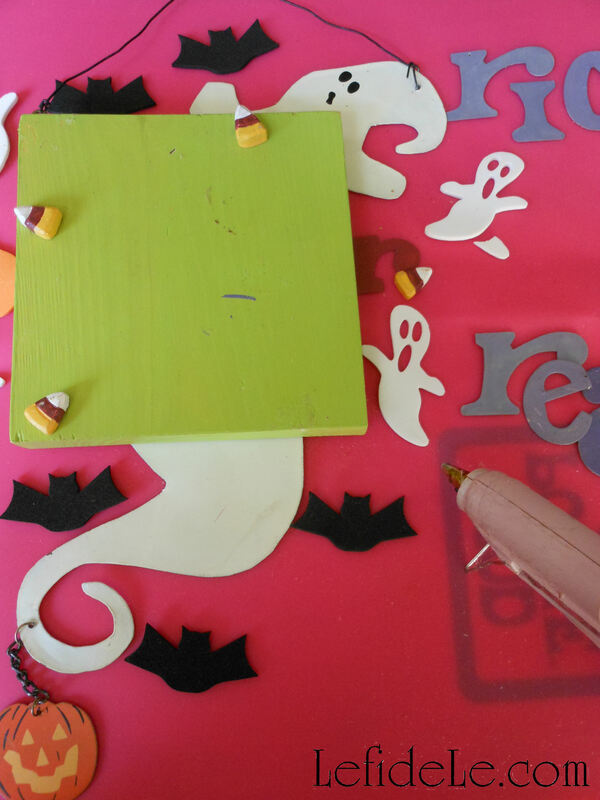 A block of wood or small canvas backed with a ghost cut-out, may be topped with eyehooks for a wire handle. 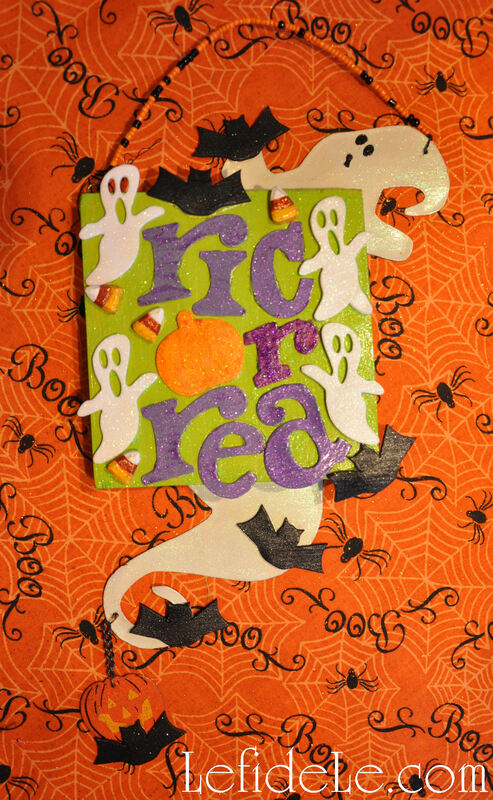 Glue on small letters plus pumpkins for O’s, armed ghosts for T’s and K’s (when an arm is cut and added as the kick in the K). Bats can just swarm the whole project! 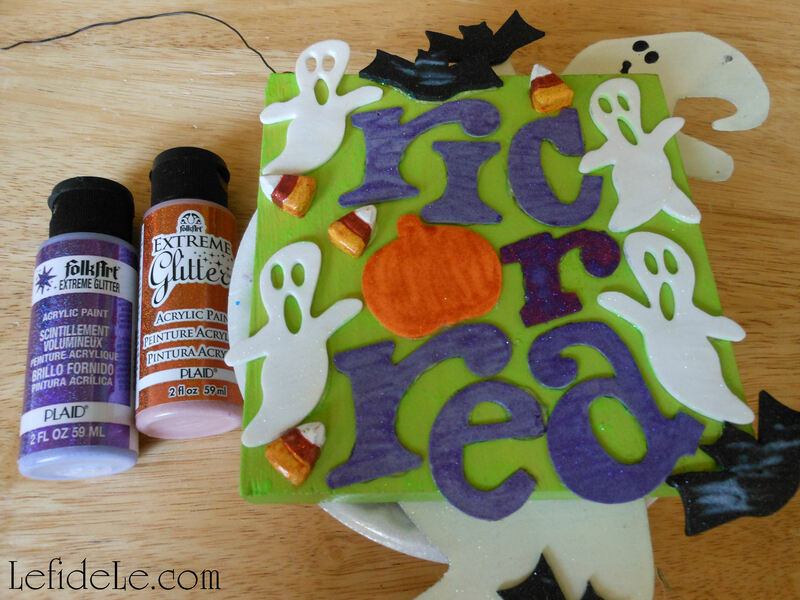 A coat of glitter paint (or glue) unifies the whole project, making the foam indistinguishable from other materials. The whole thing can actually dry on the wall (so long as wee fingers are out of reach). Thread an intentionally random mix of seed beads to a thick wire handle, and twist securely into a hole or eyehook.